Clearwater Landscape & Nursery offers a broad range of services to local homeowners, residential builders, developers, property managers, and other clients. We are proud to serve all of our clients’ needs, from initial design and planning to installation and ongoing maintenance. 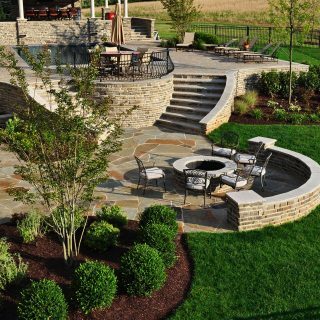 No matter what each client’s vision is for their landscape, hardscape, and outdoor-living spaces, our team is here to bring it all to an elegant, high-quality reality. We invite you to explore the pages listed below to learn more about our comprehensive service offerings. 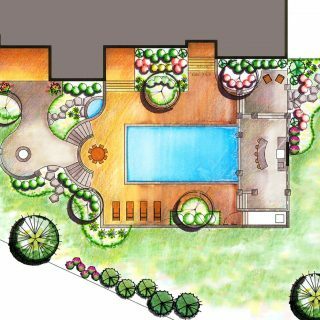 The Clearwater landscape design team has the experience, skill, and creativity needed to bring your landscaping dreams to life with gorgeous, long-lasting results. No matter what the size, shape, or slope of your yard or the nature of your vision, we’ll translate it into a beautiful design you’ll be proud to call your own. We offer all of the full-service construction and masonry installation capabilities needed to transform your outdoor spaces into distinctive, elegant hardscapes and more. From patios to driveways, entry monuments, walkways, stone and brick walls, and beyond, Clearwater delivers premium, long-lasting quality. 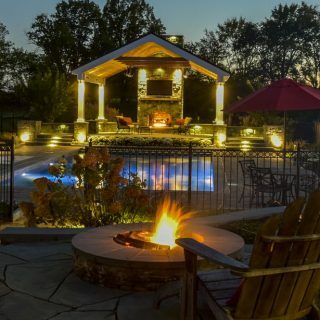 Clearwater specializes in designing and building custom fire features, including fire pits, outdoor fireplaces, fire urns, and others. We’ll add the natural beauty of fire to your outdoor-living spaces while providing venues for warmth and year-round outdoor enjoyment. Make your back yard the gathering place of choice! 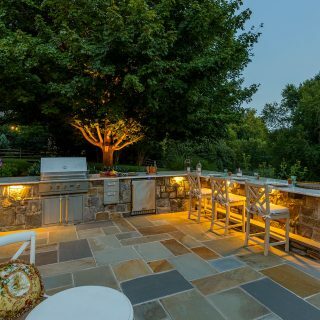 Outdoor kitchens have exploded in popularity over the past few years because they expand the entertaining space of your home into your outdoor-living areas. With a custom outdoor kitchen designed and installed by Clearwater, you’ll soon be hosting the most stylish and memorable backyard cookouts in your neighborhood. 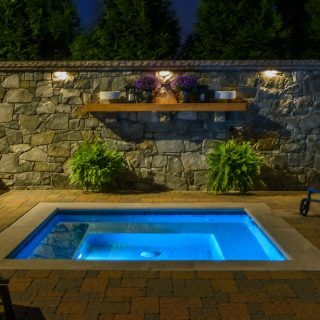 At Clearwater, we specialize in creating custom in-ground pools and a range of water features as beautifully integrated components of your outdoor-living spaces. We’ll handle everything from custom design to premium-quality installation to ensure the most distinctive, functional, and long-lasting results available. From custom decks and porches to pergolas, arbors, and gazebos, Clearwater’s carpentry experts deliver award-winning skill and experience. 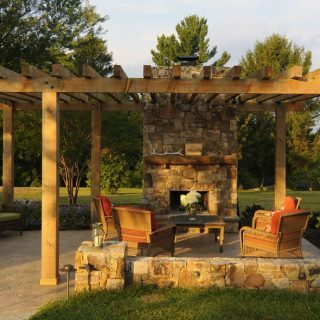 We’re here to design and install the woodworking of your dreams, seamlessly blended into your outdoor-living spaces for attractive, cohesive, and harmonious results. Clearwater is one of the most distinguished landscape installation specialists in the Washington, DC and Baltimore metro areas. Our expert landscapers have many decades of combined experience, delivering landscapes with award-winning quality, attention to detail, straightforward maintenance, and long-lived flora. Premium custom outdoor lighting systems are the perfect way to add value and curb-appeal to your property while increasing your nighttime enjoyment of your outdoor-living spaces. We’ll illuminate and highlight your home’s architectural elements and your landscaping features to accentuate their unique beauty. After we’ve custom-designed and installed your new landscaping, our maintenance team will keep it looking beautiful all year long. We offer a full range of seasonal maintenance service, along with irrigation system maintenance, snow removal, and more to ensure you’re the envy of your neighborhood with zero hassle.